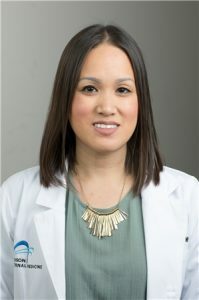 As the newest addition to Addison Internal Medicine, Michelle is now accepting new patients as well as treating established patients. Michelle is fluent in English and Vietnamese. She earned her bachelor’s degree from the University of Houston, followed by another bachelor’s degree from Texas Christian University. Additionally, she completed her master’s degree in nursing at the University of Texas, Arlington. Michelle holds active membership in the Texas Nurse Practitioners. She is also a recipient of the Texas Health Resources Physician’s Education Award. Michelle looks after the diverse population of Dallas. She is a highly trained family nurse practitioner, who is dedicated to patient care. Michelle’s approach to medicine is to deliver compassionate, individualized treatment to all her patients. In Michelle’s spare time, she enjoys spending quality time with her family, traveling, and dining out.